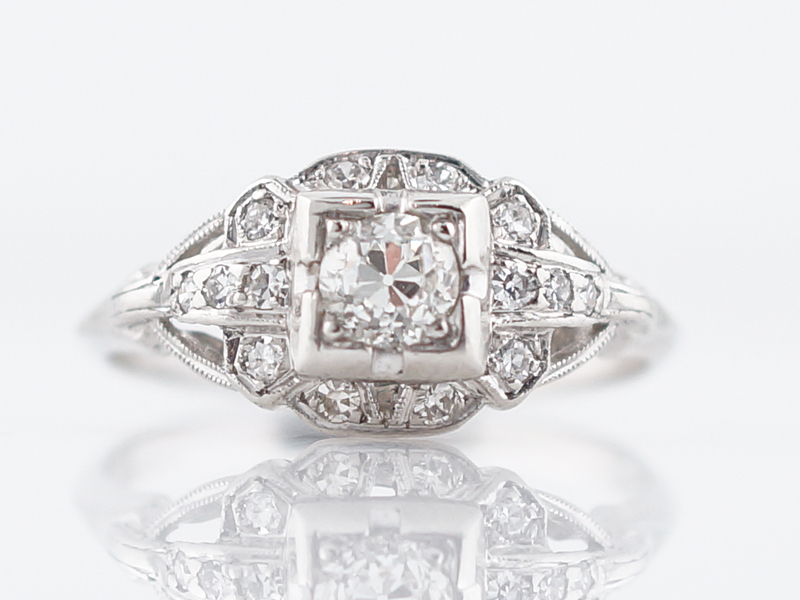 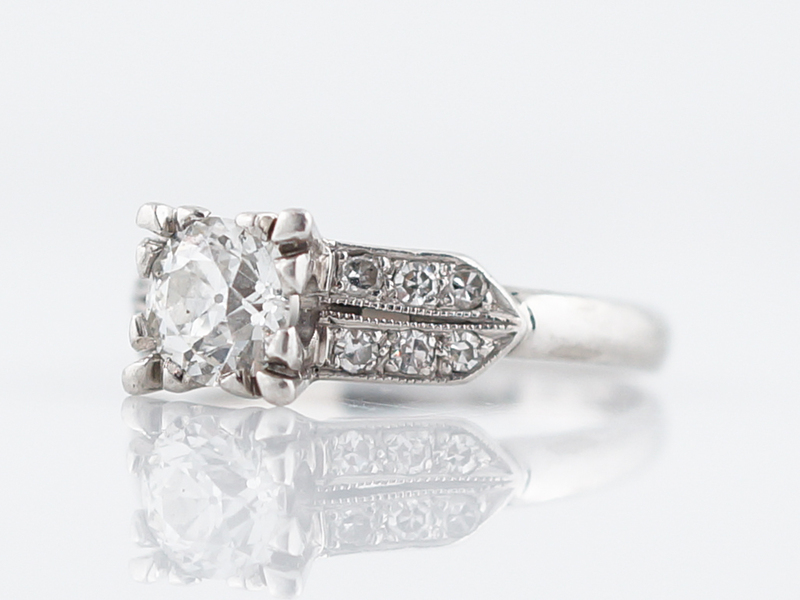 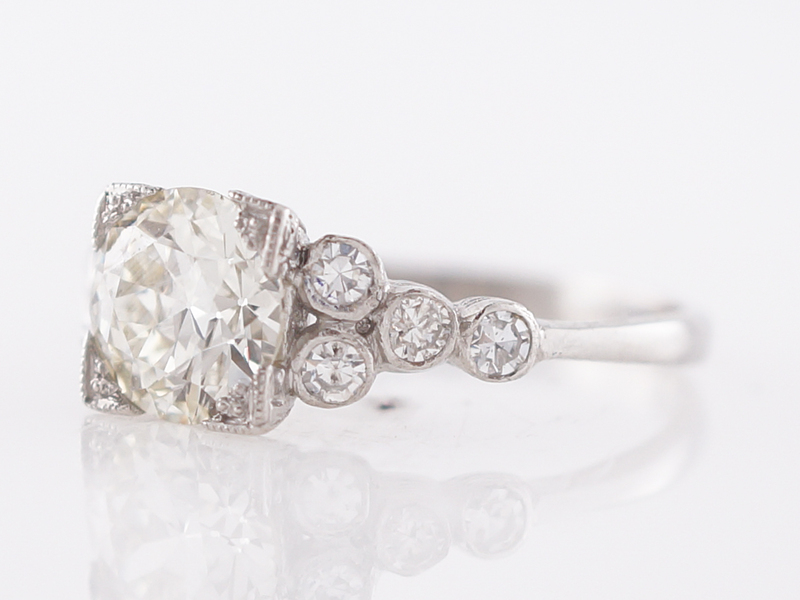 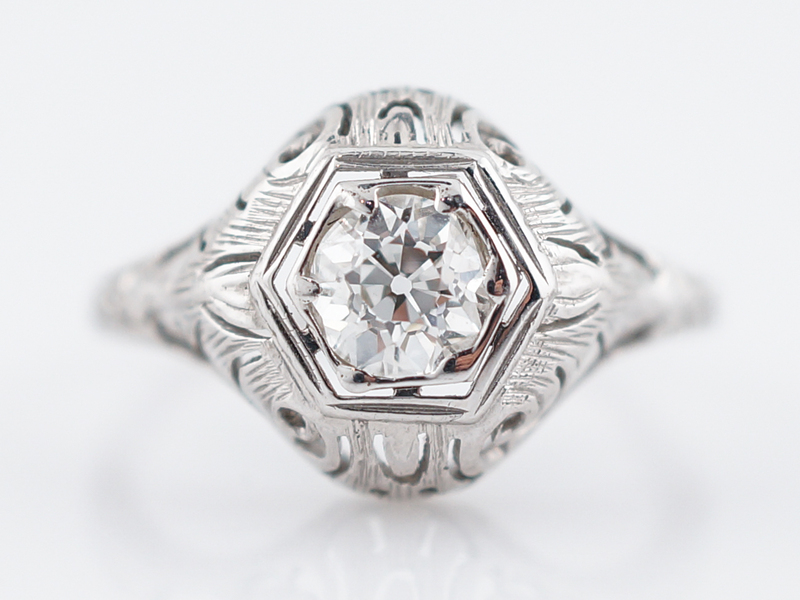 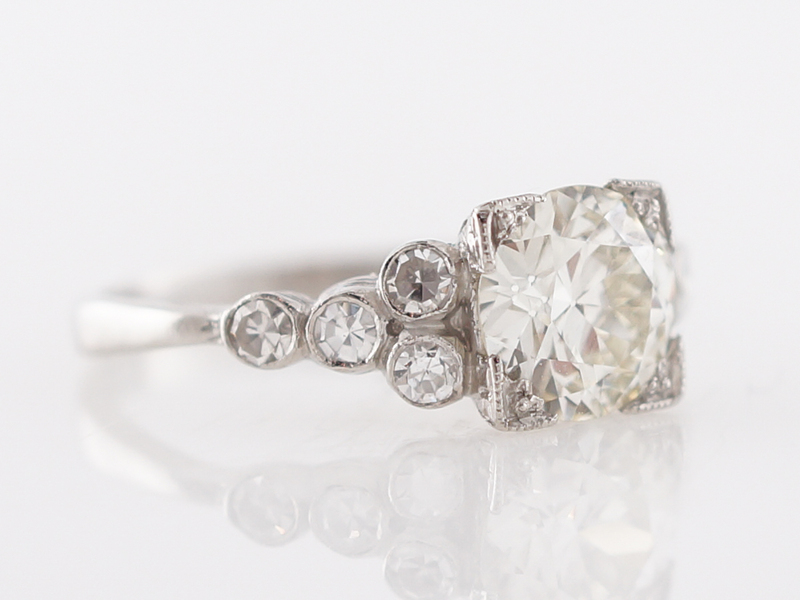 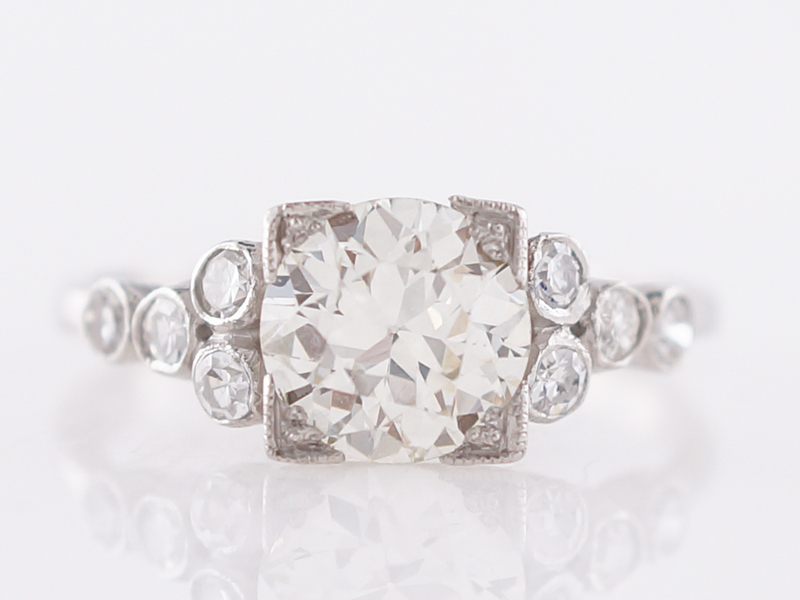 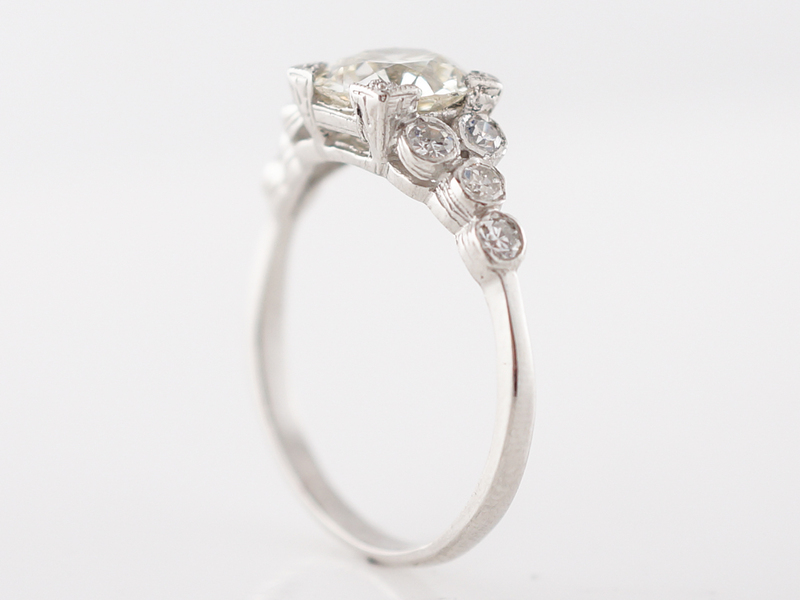 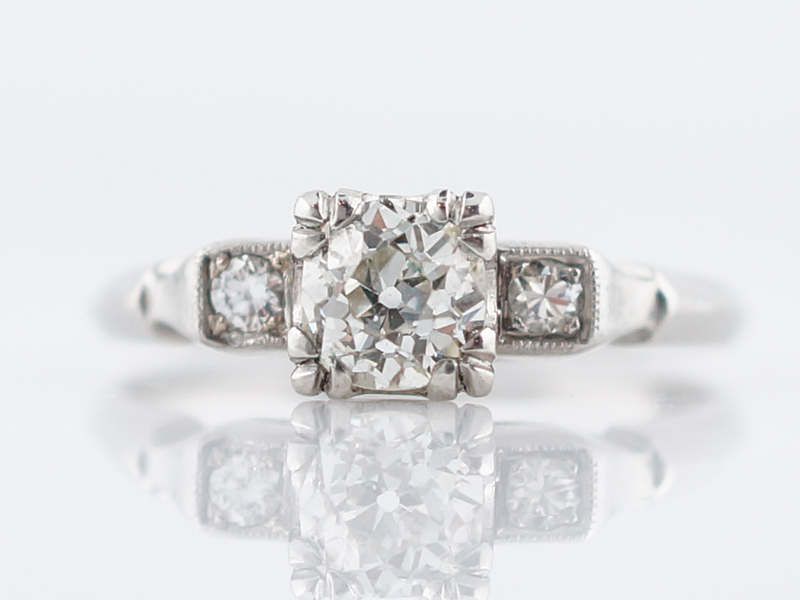 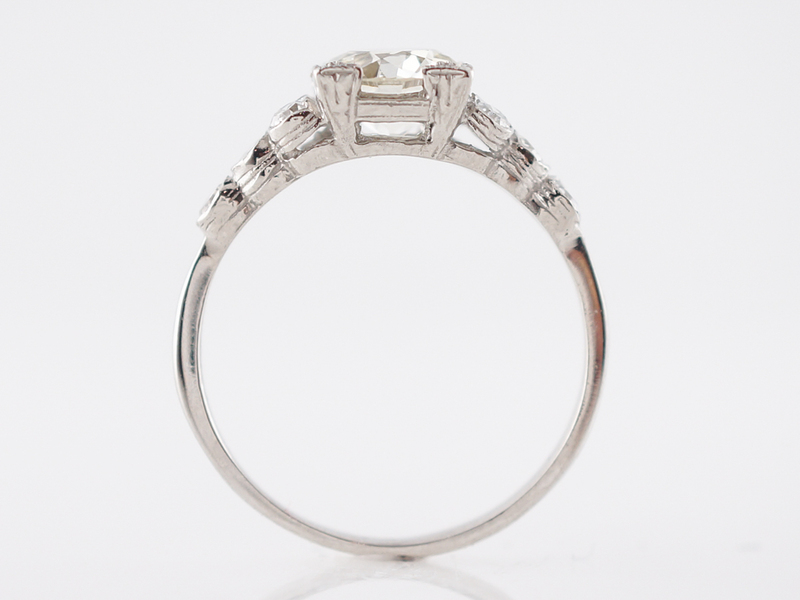 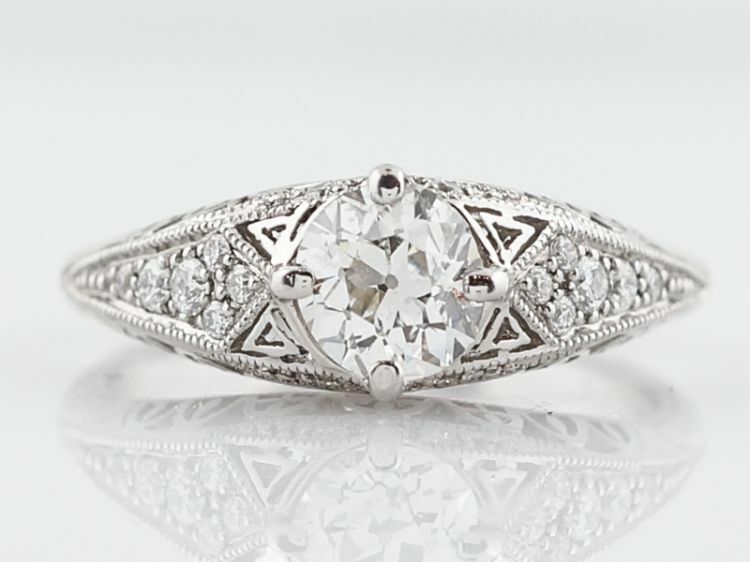 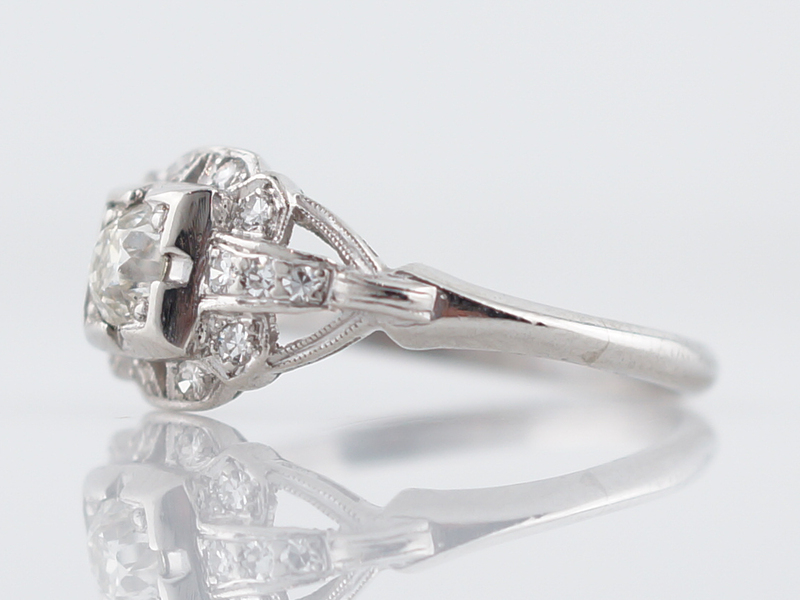 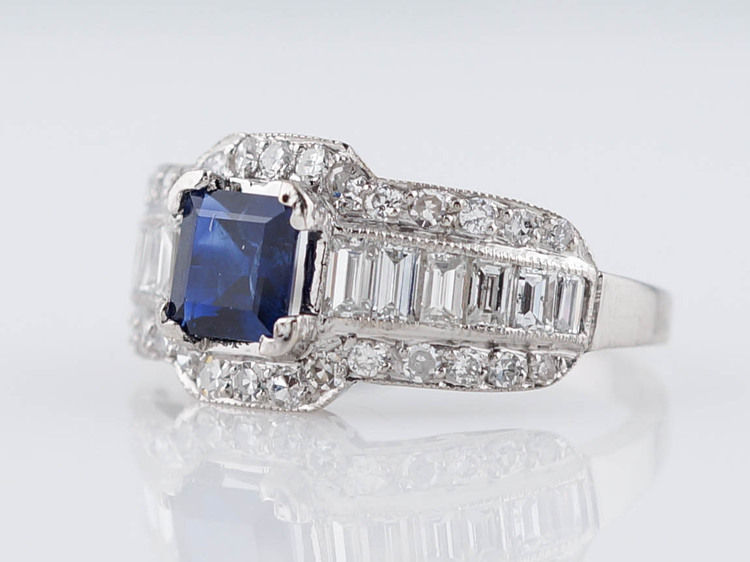 This lovely vintage engagement ring is from the Art Deco Era and demonstrates the classic aesthetic of the time period. 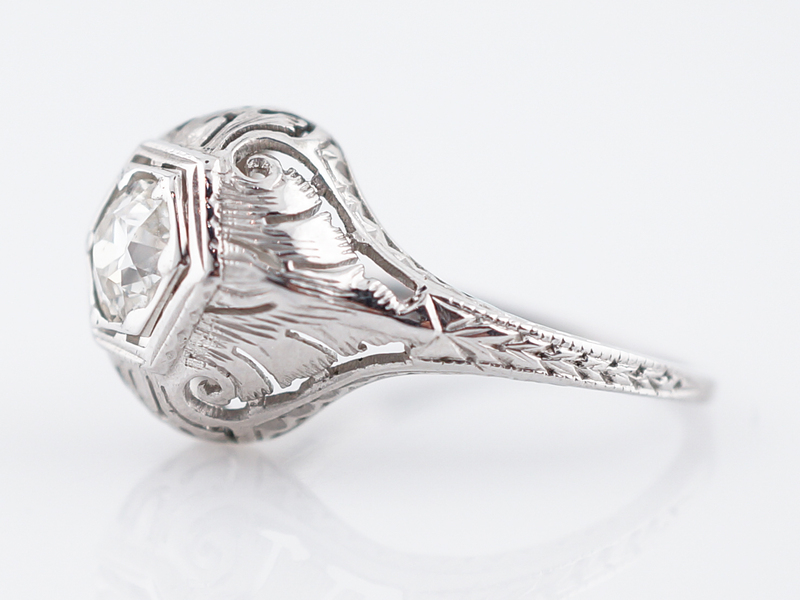 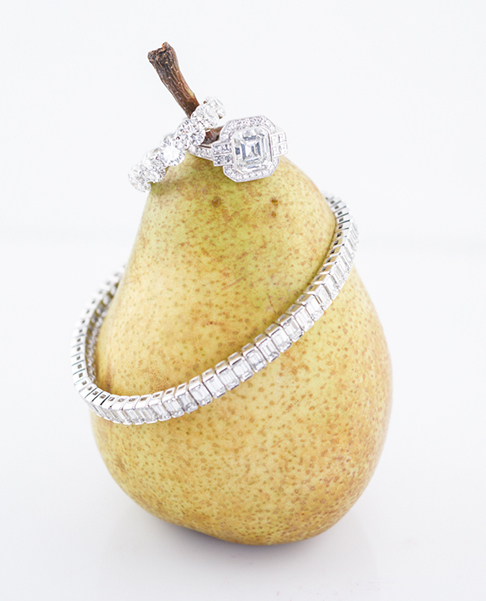 The remarkable center stone is a 1.52 carat old european cut diamond secured in a box setting and finished in platinum. 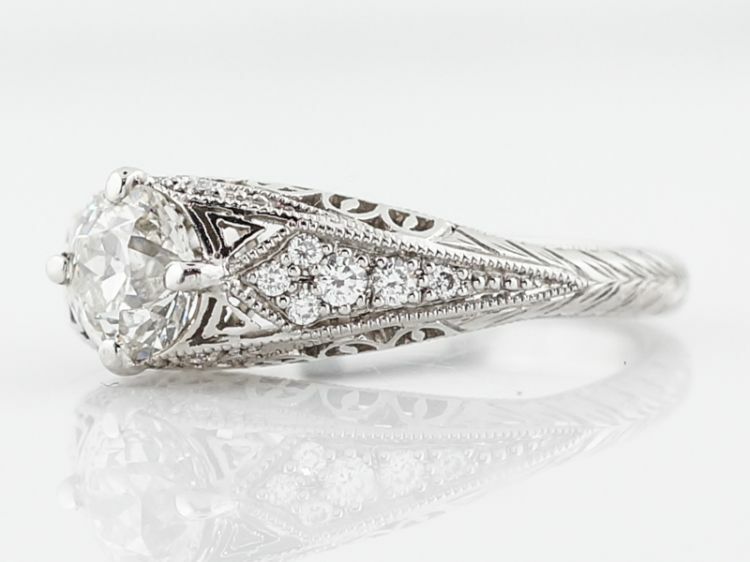 There are four (4) additional old european cut diamonds bezel set on either side of the center stone creating an attractive tapered look. 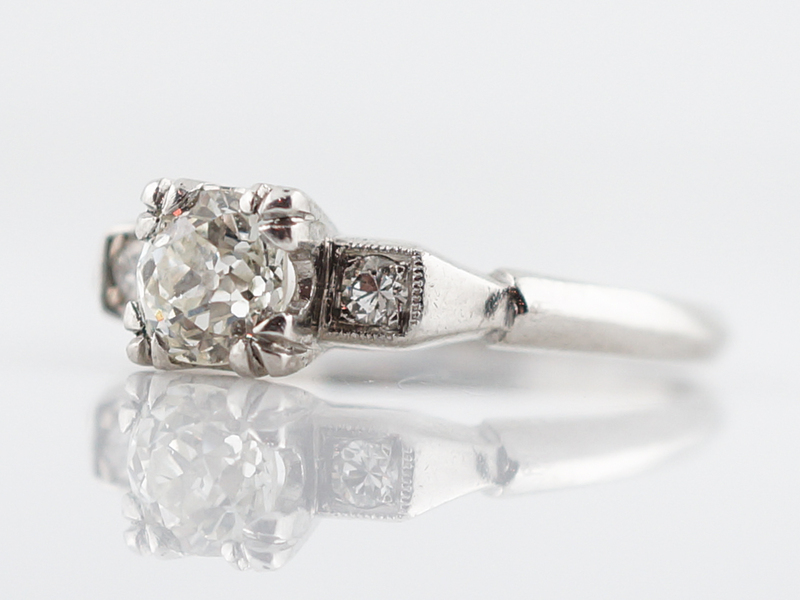 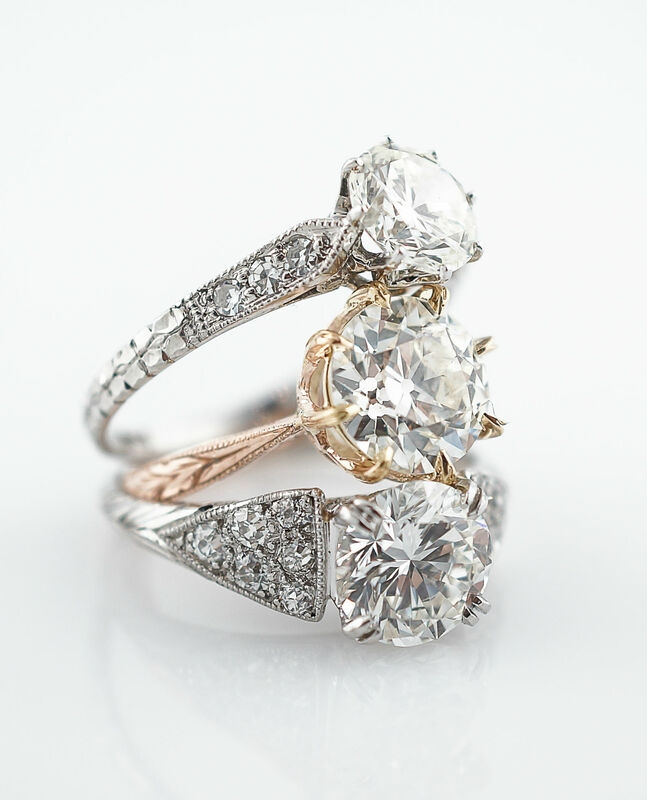 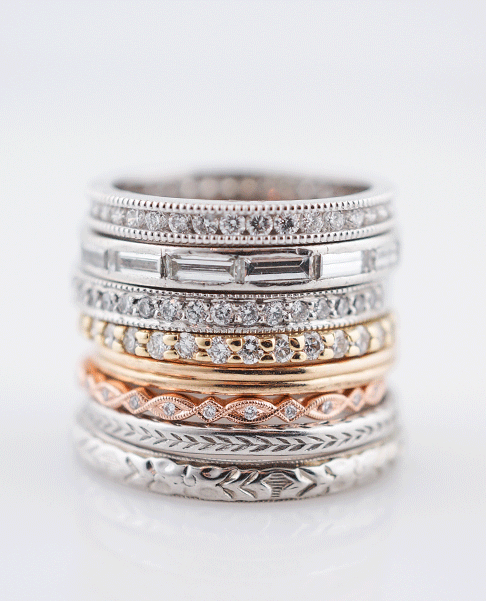 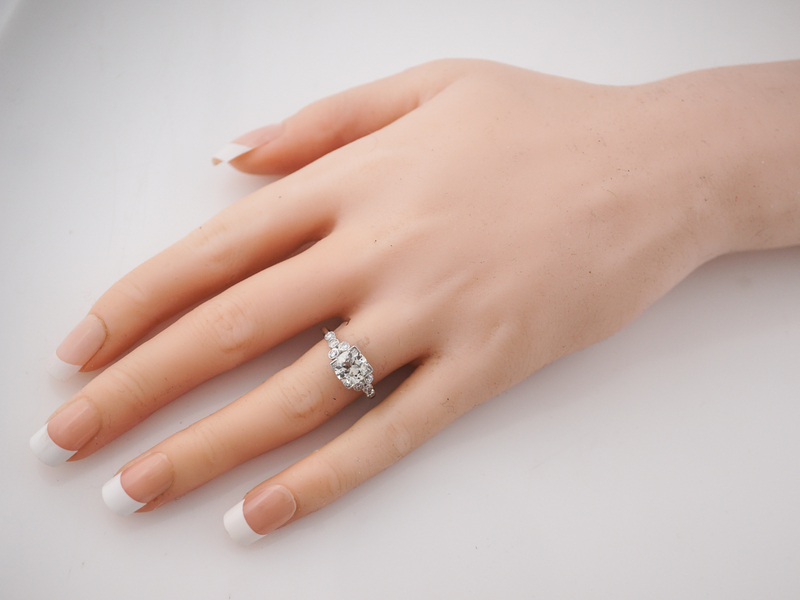 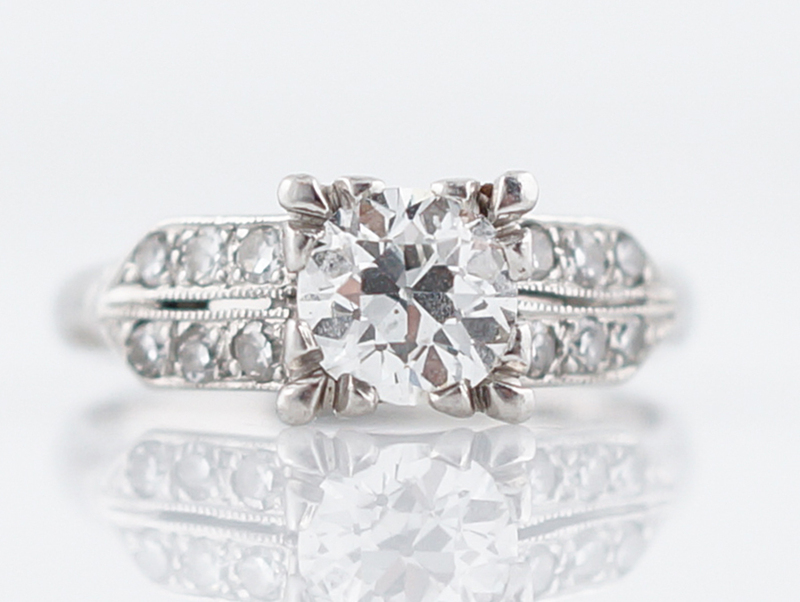 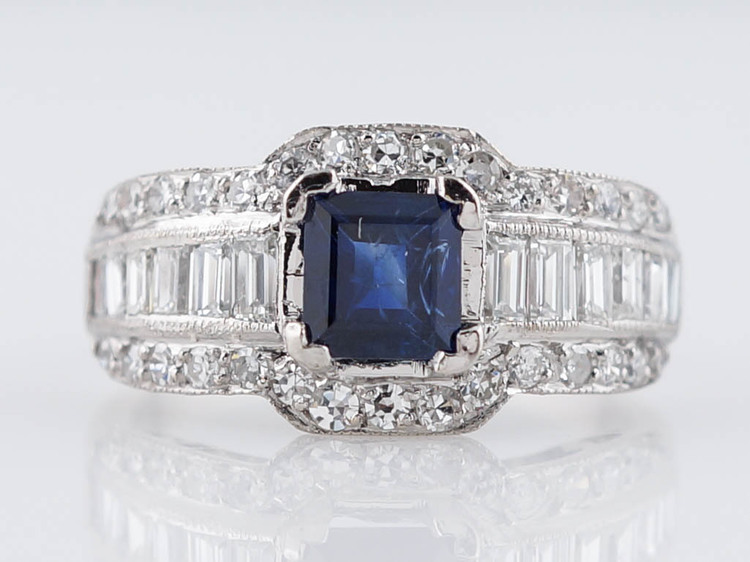 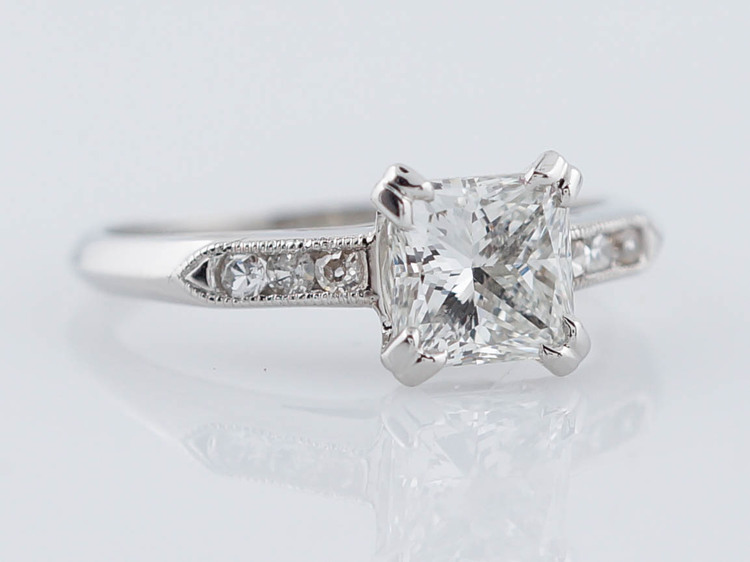 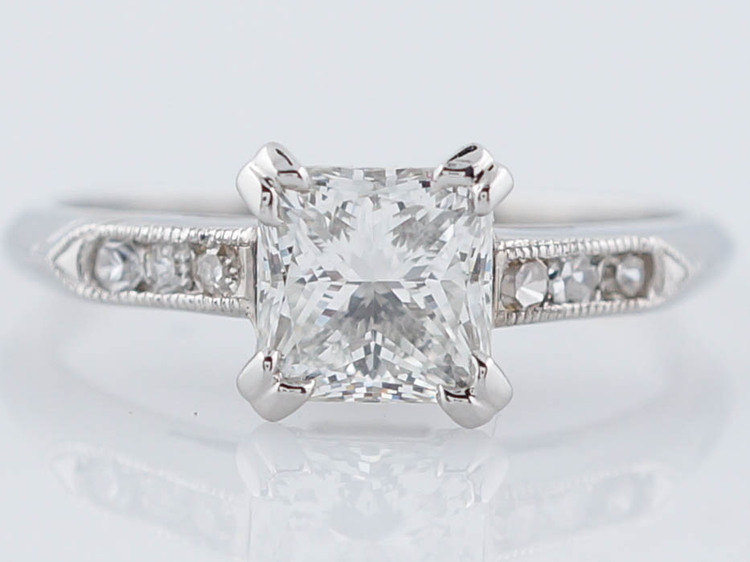 This engagement ring would look lovely with a vintage or antique wedding band.